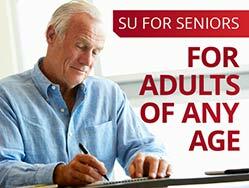 REDDING, Calif. - Simpson University for Seniors is offering two courses in February for adults of any age. The non-credit, no-homework classes, which begin Feb. 1, are taught on Simpson’s campus by university professors and professionals in their field of expertise. Classes meet from 10:20 to 11:20 a.m. and 11:30 a.m. to 12:30 p.m. on Mondays, Wednesdays and Fridays. 10:20-11:20 a.m. – Jane Austen: Wit, Wisdom, and World. This class is an introduction and overview of noted English author Jane Austen through the study of three of her classic novels with particular focus on Pride and Prejudice. Featuring incisive social commentary seasoned with irony and wit, Austen's novels offer a variety of stories and characters that provide a window into living wisely and living well. Expect to read, discuss, and enjoy a great author. Presenter: Brian Larsen. 11:30-12:30 – Introduction to Biblical Archaeology. This class is a scientific study of the material remains in the Holy Land that shed light on the historic, geographic and cultural context of the Bible. Presenter: Glenn Schaefer.